"Museums for All" to increase accessibility of high-quality museum learning resources. From Day 1, Stepping Stones has been committed to providing accessibility for all children, families and schools throughout our region. Every child deserves access to a high-quality museum experience. This value statement has been fundamental to the mission of Stepping Stones Museum for Children since the award-winning museum first opened its doors sixteen years ago. Through its Open Arms accessibility initiative, the museum has provided thousands of unique opportunities for community members to enjoy museum exhibits, educational programs, special events and services regardless of financial, language or special needs barriers. Today, Stepping Stones is proud to announce that it is expanding its Open Arms commitment by joining Museums for All, a signature access program of the Association of Children’s Museums (ACM) and the Institute of Museum and Library Services (IMLS) to encourage families of all backgrounds to visit museums regularly and build lifelong museum habits. The Museums for All program will provide access for low-income families in our area by offering greatly-reduced general admission to families of Electronic Benefits Transfer (EBT) cardholders. Beginning on Friday, April 1, visitors presenting an EBT card and a valid form of photo ID will receive admission to Stepping Stones for the minimal fee of $3 per person for up to eight (8) guests. Regular admission to the museum is $15 per person. The discounted Museums for All rate is only valid during normal operating hours and does not apply for special evening events. The EBT cards won’t be used for payment for admission, but rather as a way to identify the visitor(s) as qualifying for Museums for All. 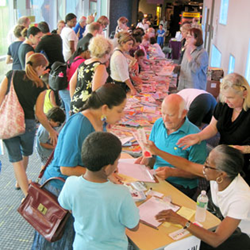 The Museums for All initiative represents a long stride toward the goal of reaching more children and parents, especially those living in poverty, with the valuable learning resources of museums. Children’s museums, with their unique focus on bringing children, families, and communities together, are committed to providing access to all. Each year, children’s museums host more than 31 million visitors. The Museums for All initiative will allow children’s museums to further expand their reach and impact. As such, families of EBT cardholders can receive discounted admission at other participating Museums for All museums as well. With the addition of the Museums for All program, Stepping Stones is also announcing a change to another component of its Open Arms initiative. Through Accessibility Day, the museum has been providing families of children with special needs with a reduced –admission opportunity to enjoy the museum’s exhibits, mingle with other families and learn with their child in a safe and welcoming environment. Beginning on Saturday, April 9, families visiting the museum for Accessibility Day will receive admission to Stepping Stones at the discounted Museums for All rate of $3 per person. The Institute of Museum and Library Services is the primary source of federal support for the nation’s 123,000 libraries and 17,500 museums. Our mission is to inspire libraries and museums to advance innovation, lifelong learning, and cultural and civic engagement. Our grant making, policy development, and research help libraries and museums deliver valuable services that make it possible for communities and individuals to thrive. To learn more, visit http://www.imls.gov and follow us on Facebook and Twitter. In an increasingly complex world, children’s museums provide a place where all kids can learn through play and exploration with the caring adults in their lives. There are approximately 400 children’s museums around the world, which annually reach more than thirty-one million visitors. ACM provides leadership, professional development, advocacy and resources for its member organizations and individuals. To learn more about ACM and to find an ACM-member children’s museum near you, visit http://www.ChildrensMuseums.org. 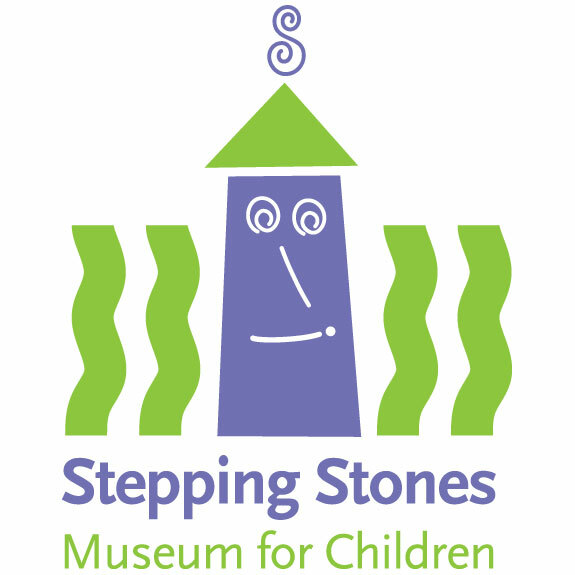 Stepping Stones Museum for Children, celebrating its 16th birthday this year, is an award-winning, private, non-profit 501 (c) (3) children’s museum committed to broadening and enriching the lives of children and families. Stepping Stones Museum for Children is located at 303 West Ave., Norwalk, CT, exit 14 North and 15 South off I-95. Museum hours are: Memorial Day through Labor Day, Monday-Sunday from 10 a.m.-5 p.m. and Labor Day through Memorial Day, Tuesday—Sunday and select holiday Mondays from 10 a.m.-5 p.m. Admission is $15 for adults and children and $10 for seniors. Children under 1 are free. For more information about Stepping Stones, to book a field trip or schedule a class, workshop or facility rental call 203-899-0606 or visit http://www.steppingstonesmuseum.org.